If you’re in the market for a netbook — the gimpy kittens of the laptop jungle — know this first: on the inside, they’re all basically the same. Making the little differences all the more important! And yes, they do add up.For our Battlemodo, we decided to look only at netbooks powered by Intel’s Pine Trail (Atom N450) processor. Netbooks sporting older processors are a bit cheaper, but they’re also a little slower and don’t achieve the same impressive battery life as Pine Trail. And they’ve been reviewed to death elsewhere. Netbooks with an Ion GPU are also available, but they’ve got their own baggage. First: they’re around $50 more expensive than non-Ion models. Second: they’re not available yet on Pine Trail. So you can either settle for an older processor with Ion and take a battery life and performance hit, or wait until the first Pine Trail-compatible netbook — the Acer Aspire One 532G — comes out later this year and pay the premium. 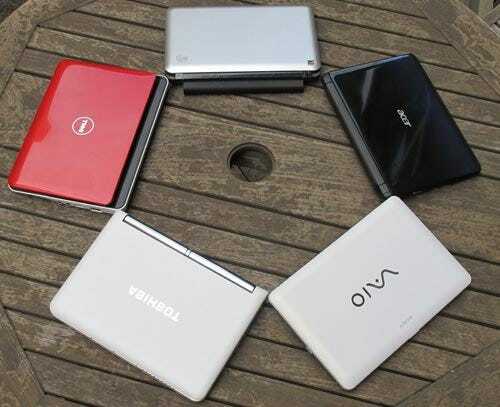 Once you’re spending $500+ on a netbook, though, you may as well step up to a full-function ultraportable. So: Pine Trail netbooks it is. The Dell Mini 10 is a little bulkier than the other contenders, but I'm happy to trade a little weight for the sturdier build. The glossy red top was a welcome splash of colour without looking cheap. And where most netbook batteries stick out the back end or bottom like oblong tumors, the Mini's is safely tucked away in the bottom deck. The result? A small form laptop with a big boy design. The Mini 10 was also the easiest to type on, with flush and raised keys leaving me pleasantly hand-cramp-free compared to the island-style netbook keyboards. Admittedly, this was a close call. 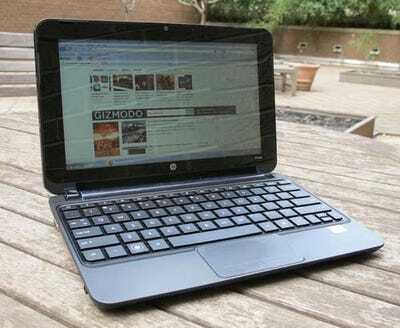 The HP Mini 210 has a similarly solid feel to it, and handles HD video almost as well as the Dell. 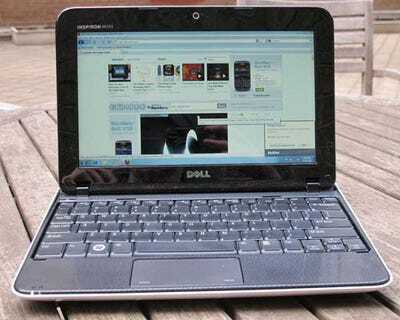 But in the two areas that are arguably most critical to a netbook experience--battery life and price--the Mini came up way short. Unlike other manufacturers who include a 6-cell battery as standard, HP offers theirs as an $80 add-on, driving up the price of a usable configuration. Not that it did much good: the Mini 210 fared worst of all in our battery test, lasting only 4:09. 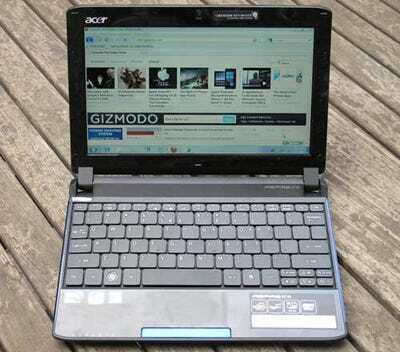 The main drawback to the Acer is its keyboard. Although I like the larger buttons, there's a certain amount of give in the middle that makes an otherwise crisp design feel cheap. The glossy top is also prone to smudging in a way that the other models manage to avoid. 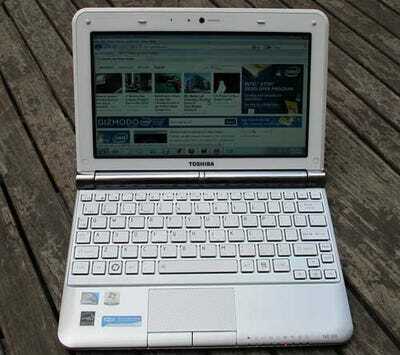 Otherwise, though, it performs as well as the extremely capable Toshiba NB305 -- for $50 less. 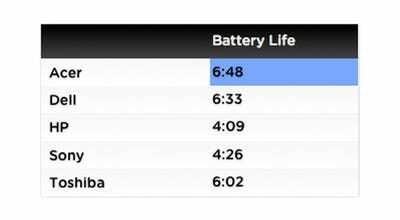 Battery life was tested by running each laptop on moderate performance settings, three-quarters screen brightness, and refreshing a page in Firefox every 30 seconds to simulate active browsing. It's an interesting dilemma. There's clearly value in an affordable computer you can carry around for basic tasks, but is this really the best we can do? 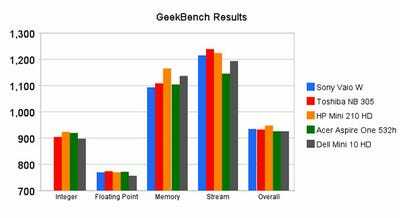 And the more triage we do on netbook guts to increase usability--be it Ion graphics or Broadcom HD accelerators--the more expensive they get, and the less apparent that value proposition becomes. And who knows? 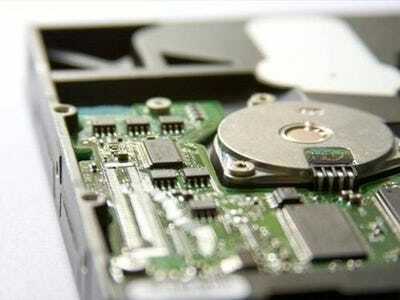 Maybe netbooks themselves have never been more than a patch. Maybe what we've really wanted all along are tablets and smartbooks.